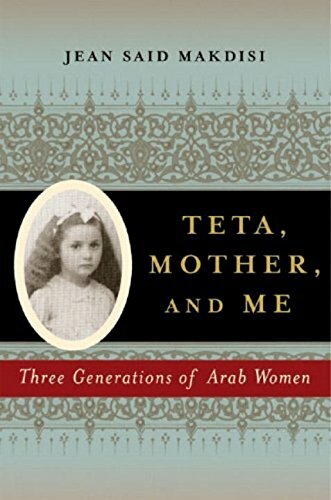 Three generations of Arab women. Rarely will something as personal as a memoir ably locate the individual experiences of the memoirist within a larger historical context. Too often, we are treated to an inward-looking exploration of a tiny familial or social circlea narrative which, if not completely oblivious to the ferment raging without, audaciously presumes that regional and global events merit little significance when compared to the writer's own tribulations. Yet with Teta, Mother, and Me, Jean Said Makdisi comes close to chronicling the modern history of her part of the world through delving into her mother's and maternal grandmother's rich and varied lives. And this, even though Makdisi has for years struggled to overcome a gnawing feeling that she falls "outside history," a fate she cannot escape.